← Gorgeous day in the Caribbean!! 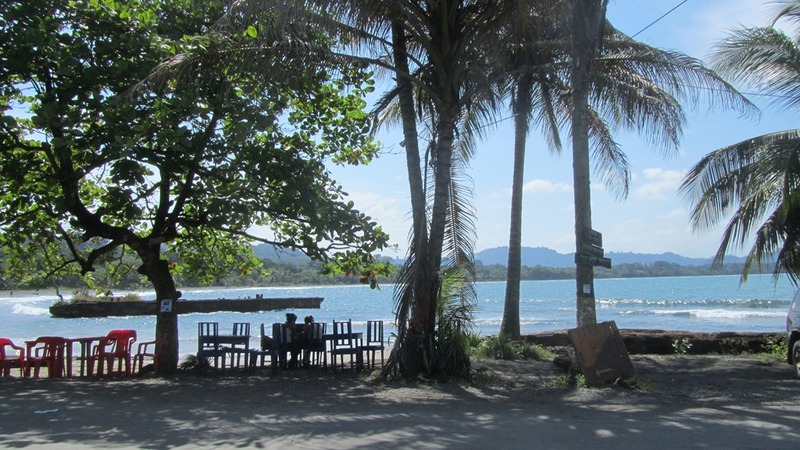 Two things – Tom’s birthday and our second month in Puerto Viejo de Talamanca, Costa Rica!! Tom is 62 today and I have to say both of us could not be happier that this birthday has arrived He will begin receiving his social security checks on December 15th and that is how we are going to stay in our tropical paradise. We have planned all along on living on what he gets from social security – at least until mine kicks in in five years (if it does – who knows with the way the world is going). Since we own the house outright, it really won’t be too difficult to maintain a lifestyle that we enjoy as long as we don’t overdo it. We will dip into savings for the occasional trip to the US and around the country to see those parts of Costa Rica that we have not yet experienced but other than that, we will be living pura vida on social security income. I have to admit that the two months really has flown by. We will be heading back to Denver in November for four days for two reasons. First is because our first 90 days in the country will be up and we have to leave – at least until we get our residency paperwork lined up. And secondly – to pick up that paperwork that son Jordan has been diligently mailing all over the place getting requests in and certifications done. By the time we arrive in November, he should have received all of the final paperwork back from the Costa Rican embassy in Washington D.C. which we can then bring back here and submit to the powers that be in San Jose. It will take about a month to get everything translated into Spanish so that we can submit it, but once that is done, all we have to do is wait. There are other housekeeping things we have to do here in Costa Rica but that shouldn’t be too difficult. I know – I sound like the very naïve person I am but my motto is now “don’t worry be happy”. Thank you Bobby McFerrin. To the right is a photograph of a number of birds on a banana plant. We have watched the most amazing display the last two days as birds eat on these bananas. 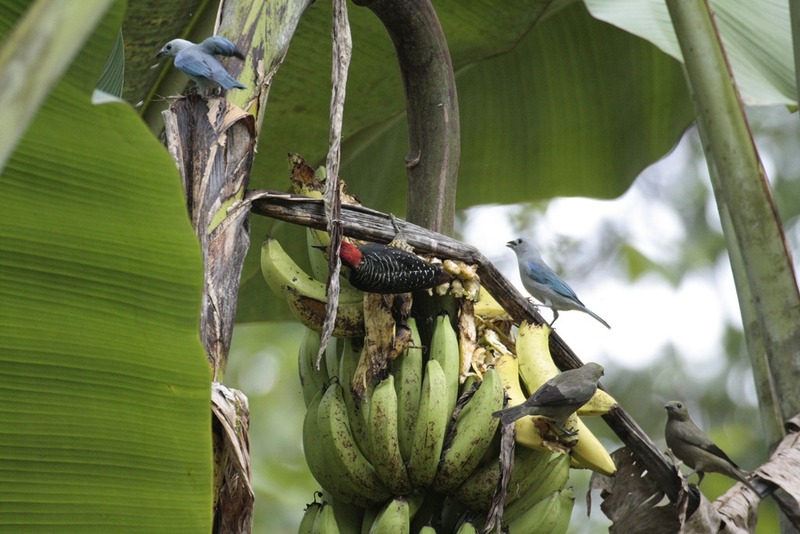 Woodpeckers, tanagers – five different kinds, Oropendolas – two different kinds, and others that I don’t even know the name of – have been eating on these bananas right outside our gate. Does anyone wonder why I love this place?!?!? !